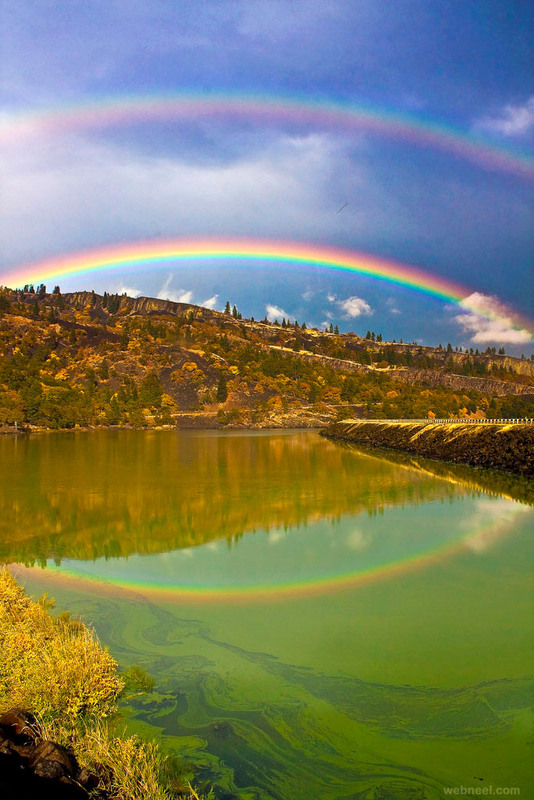 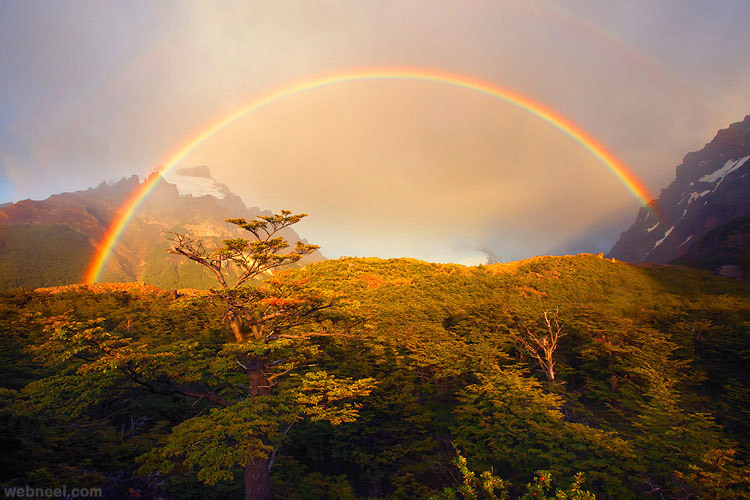 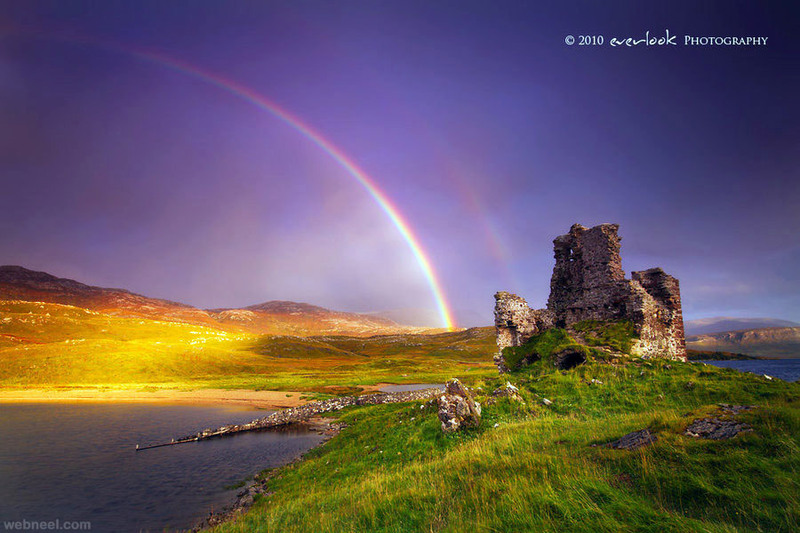 Rainbow Photography: How many of you have heard the statement, " You can find a pot of gold where the rainbow ends". 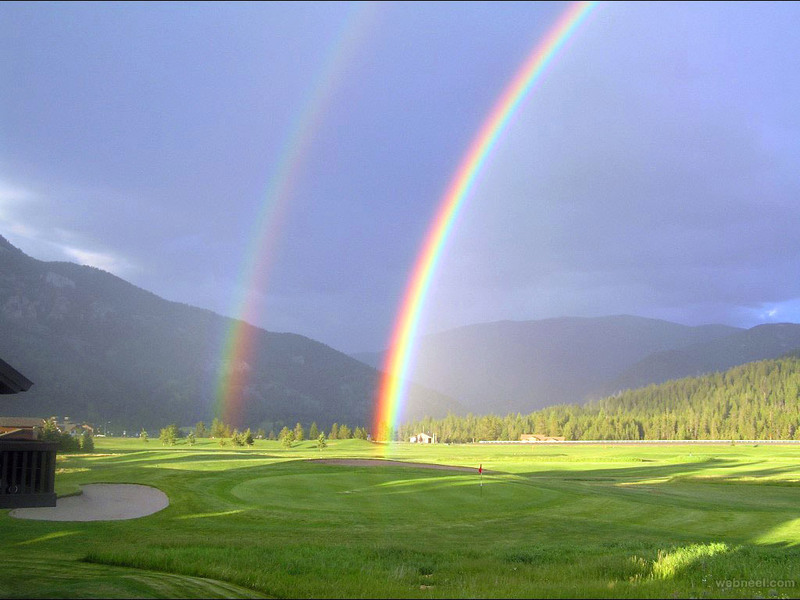 There are so many fables based on these beautiful rainbows eventually making one to wonder, if it's mystical or mythical. 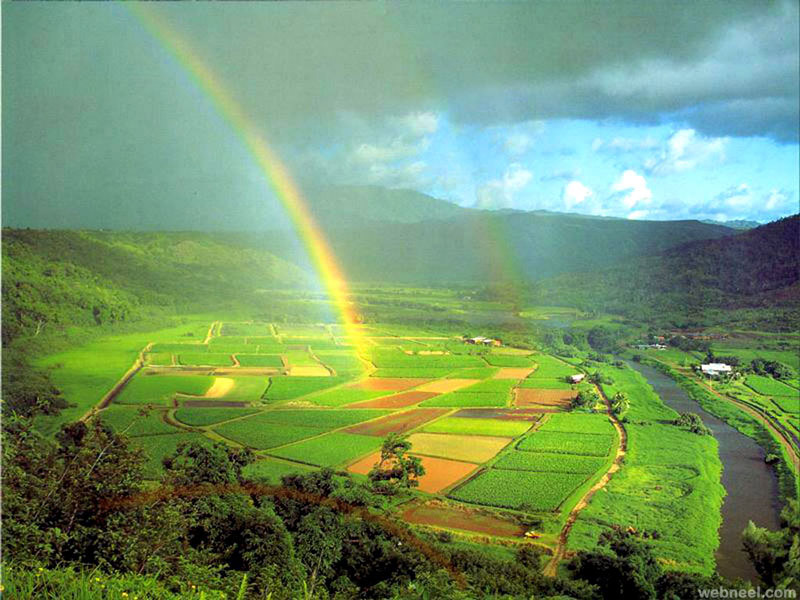 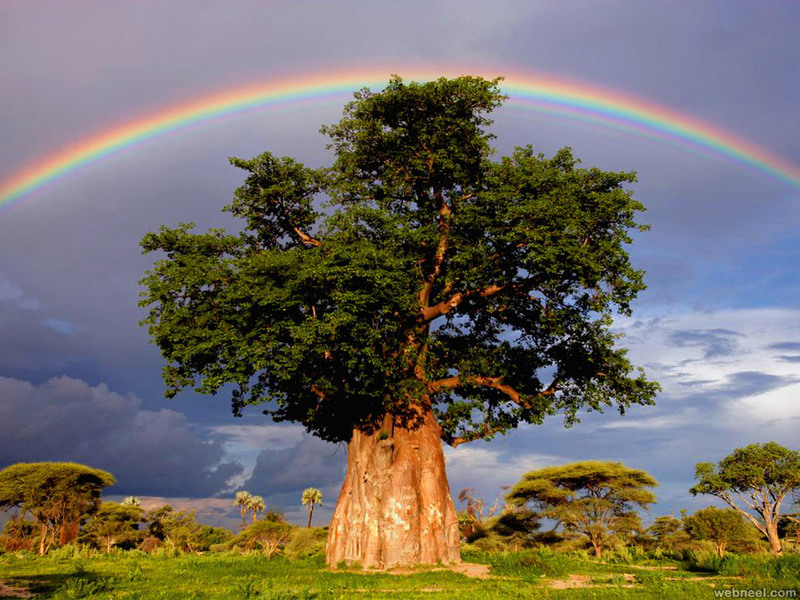 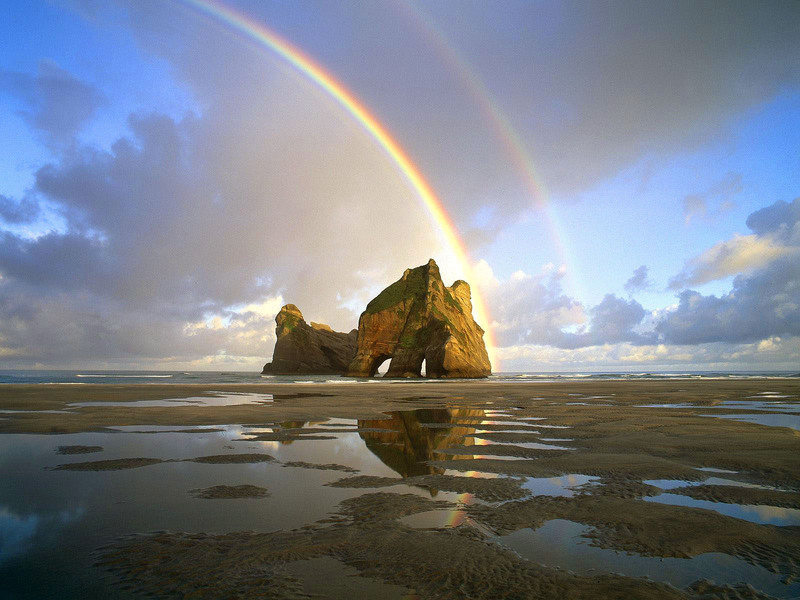 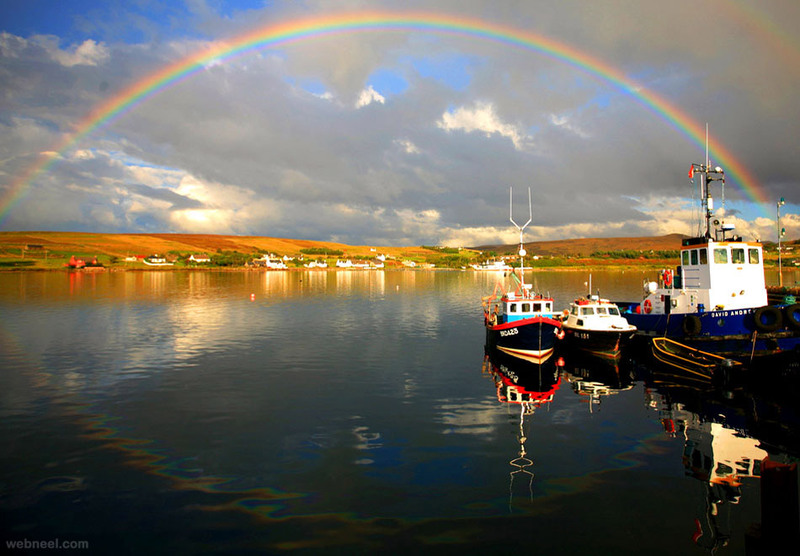 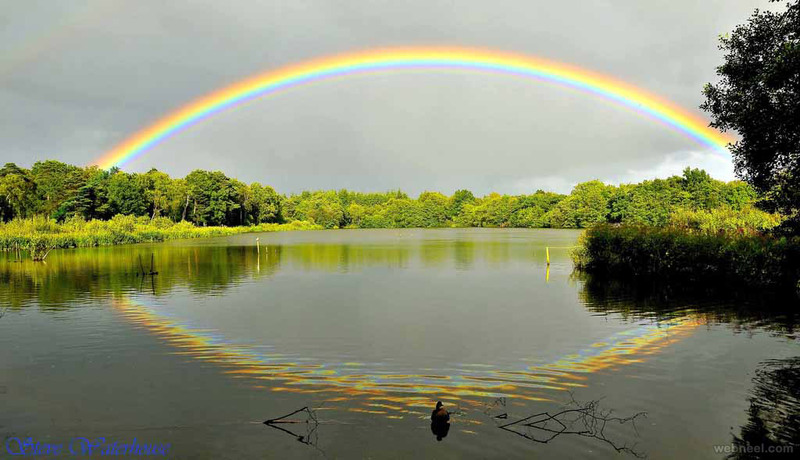 Rainbows are beautiful and its a common occurrence near water bodies and bright sunlight. 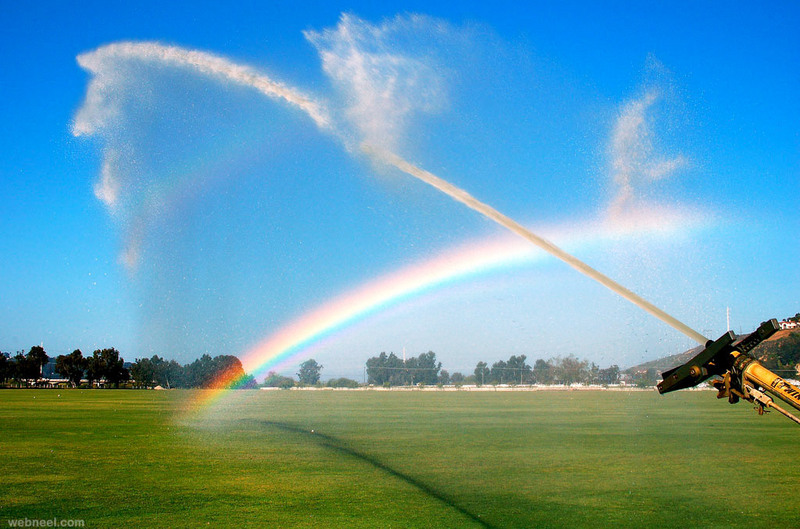 Not able to find any rainbows as a subject, you can create one yourself at home, with a garden hose mist and of course plenty of sunlight. 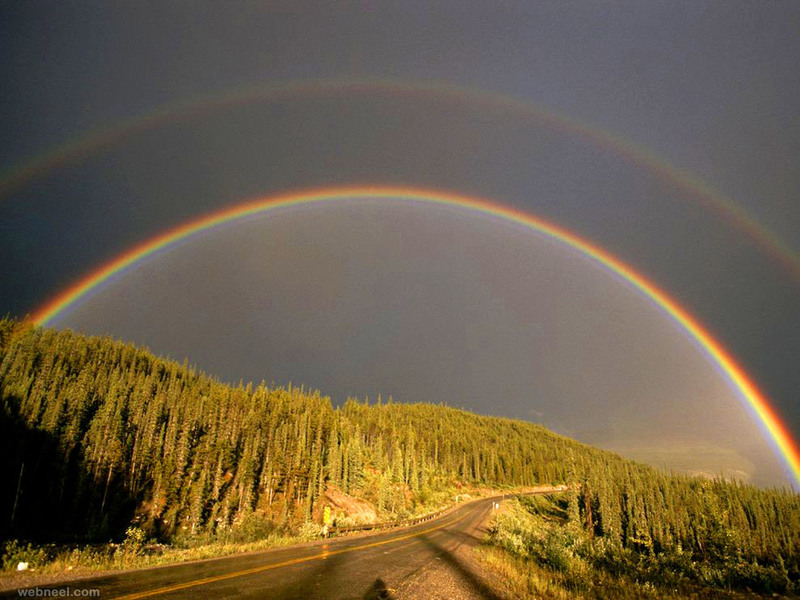 On a rainy and sunny day, you are bound to see a beautiful rainbow and if you are lucky enough you can also catch a double rainbow. 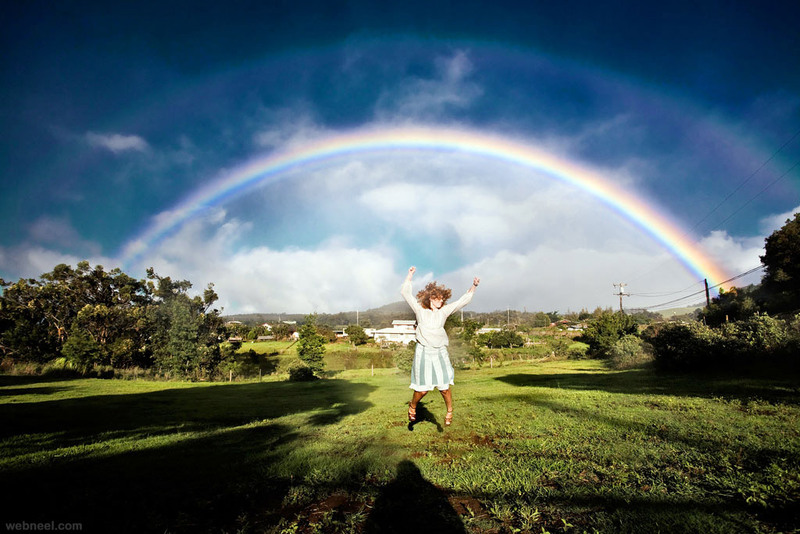 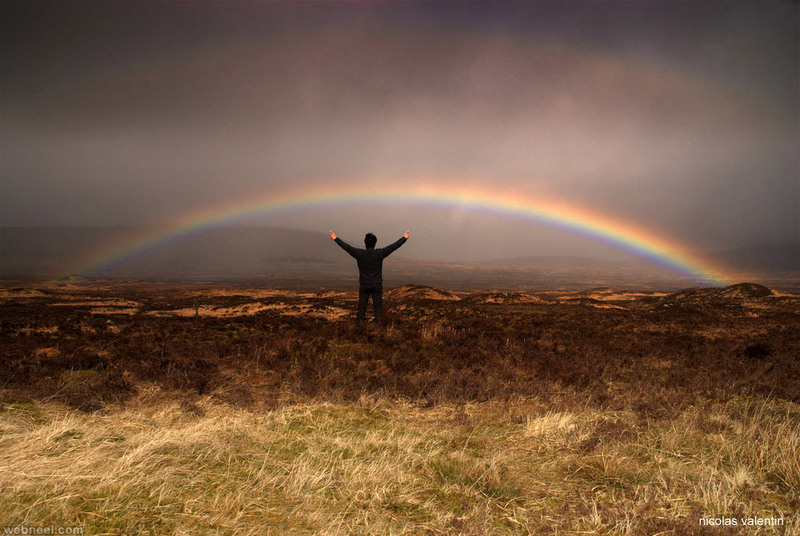 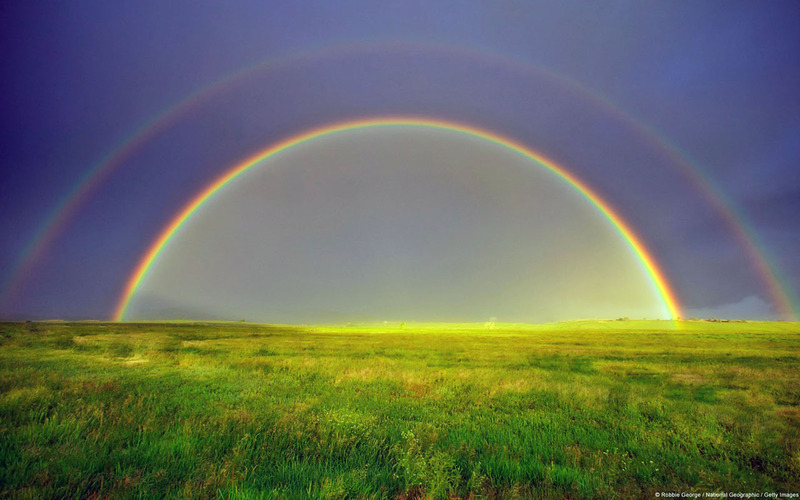 Explore this beautiful collection of rainbow photography and be inspired. 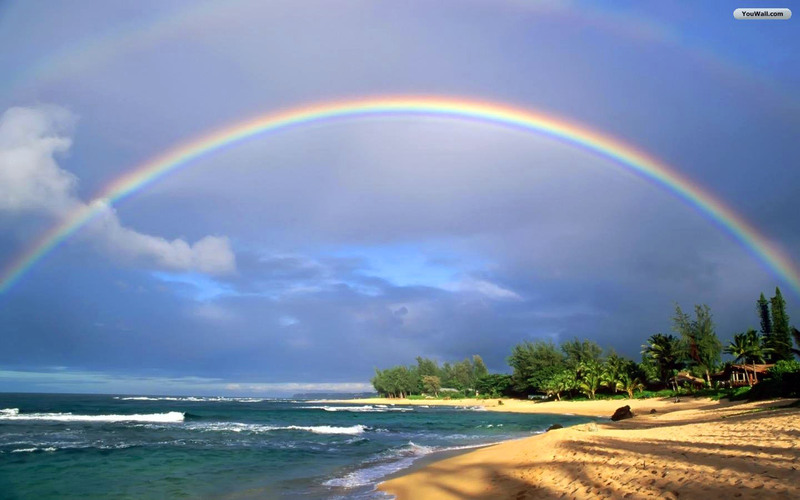 Clear background: Make sure your background is clutter free, so you can see the beautiful arc of the rainbow. 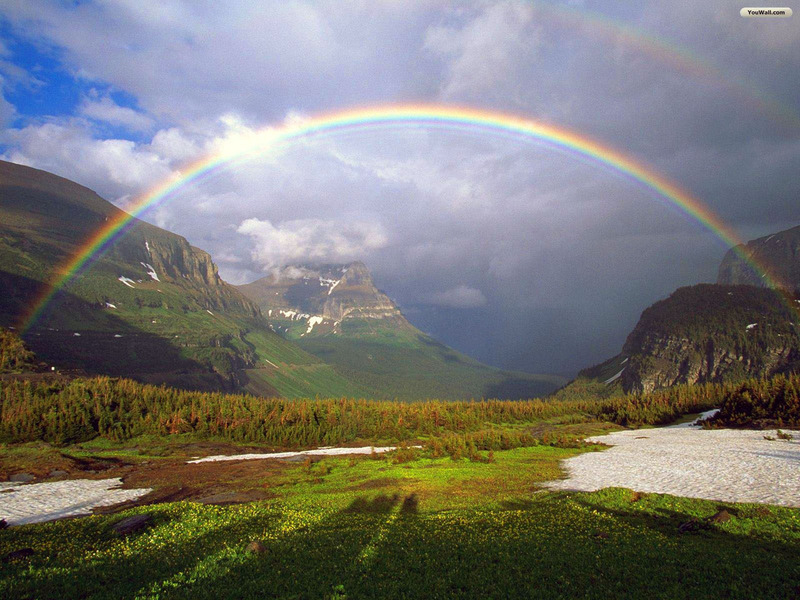 A rainbow is not a stand still object, it's just one of natures beautiful works. 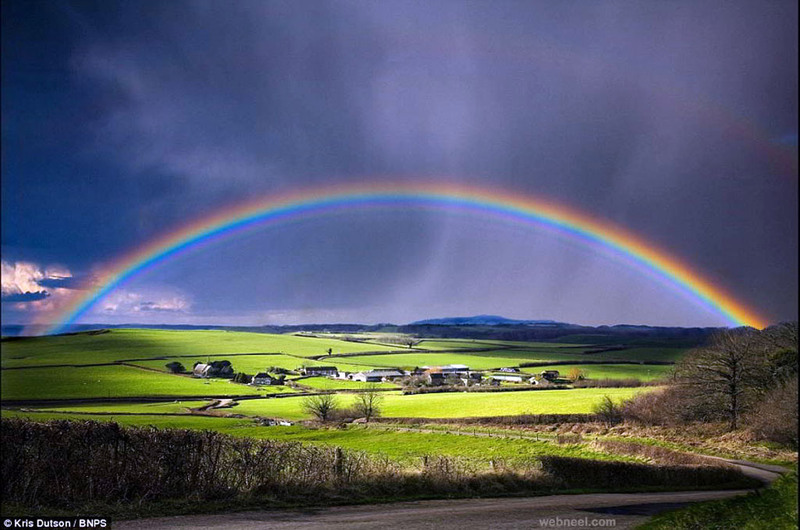 You can always add a tree or cloud in the photo, but just keep the arc, clutter free. 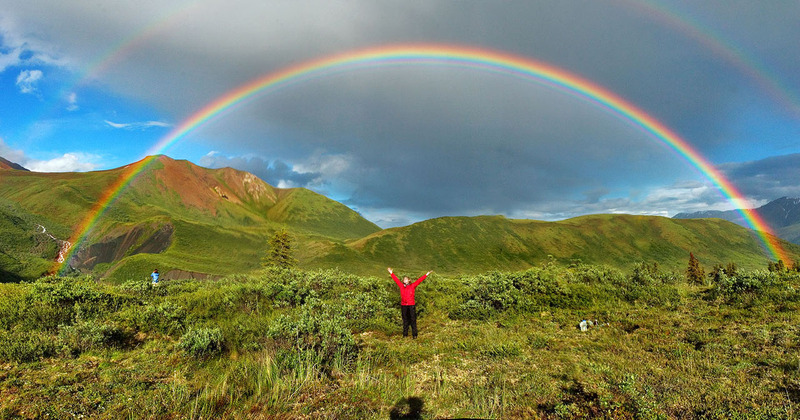 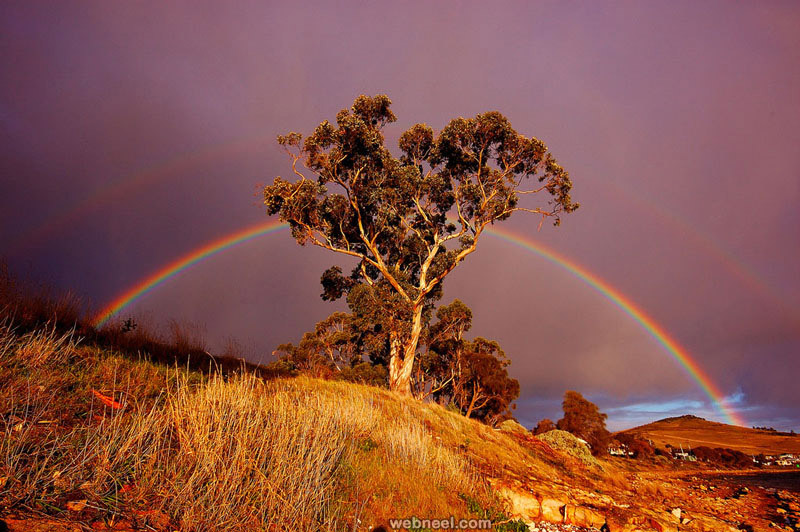 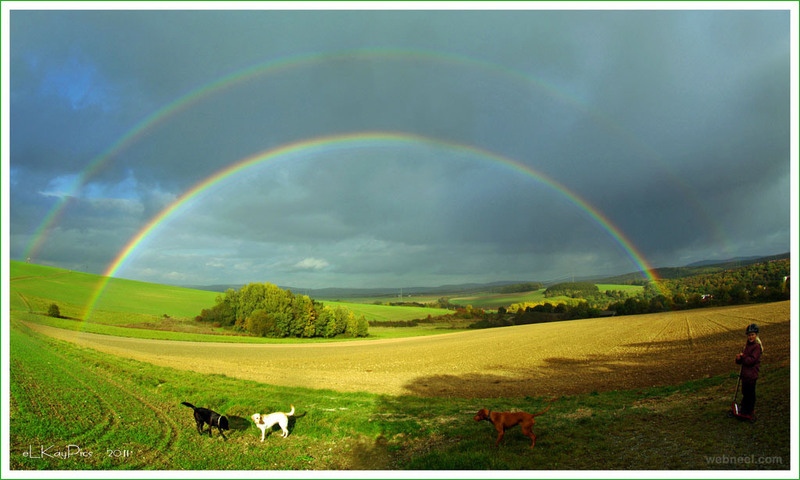 Rainbow spots: You can find two types of rainbows, one which shows the beautiful arc and the other which shows the end of the rainbow or the point where it touches the ground. 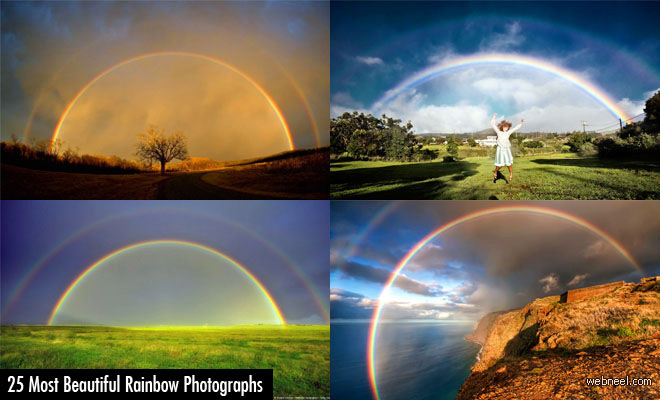 Sometimes you can also find another rainbow arc which maybe slightly higher than the first one. 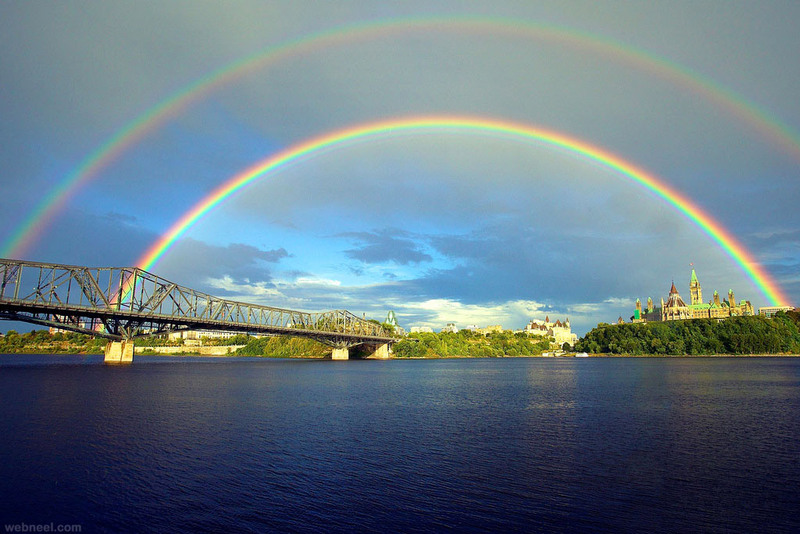 If you can capture both the rainbows in the same frame, it makes your rainbow pictures very unique. 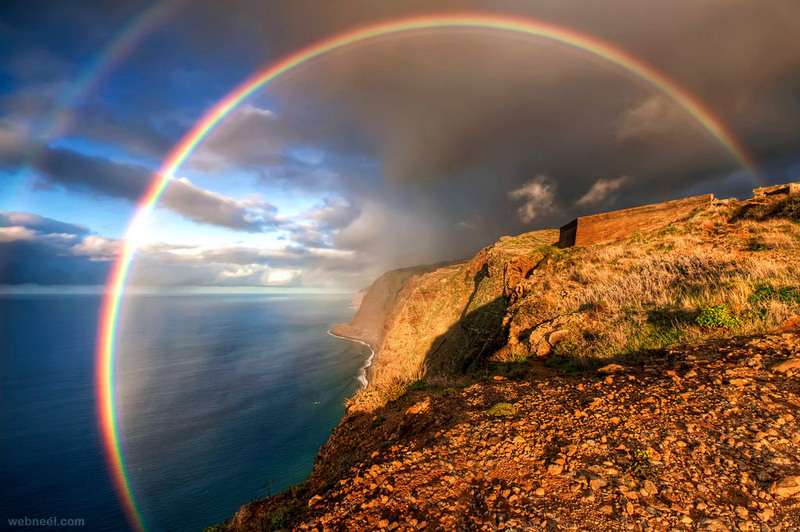 Full rainbow: Let's say you are flying in a plane or travelling somewhere real high up, sometimes you might see a full rainbow circle, this is very rare and of course even tougher to capture on frame. 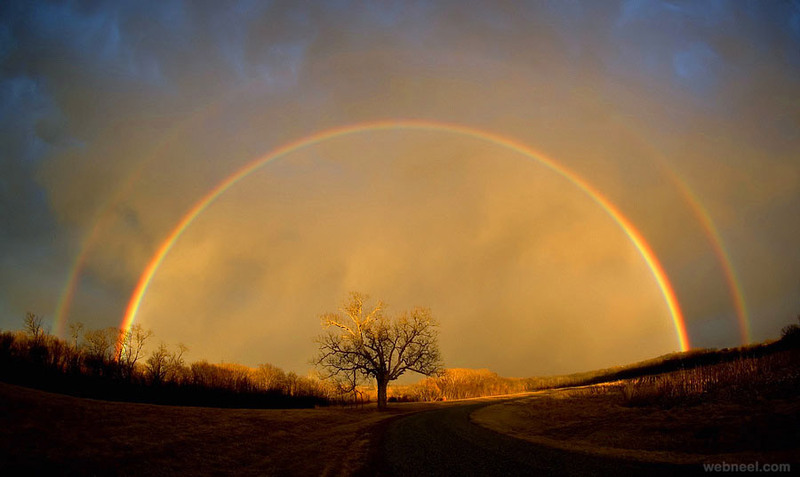 So keep your eyes open for these kind of unique shots.